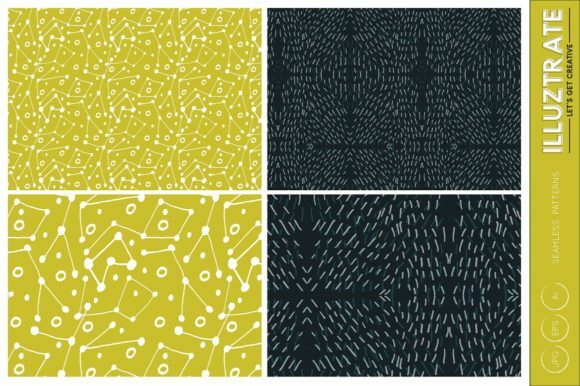 4 Seamless Pattern Designs. 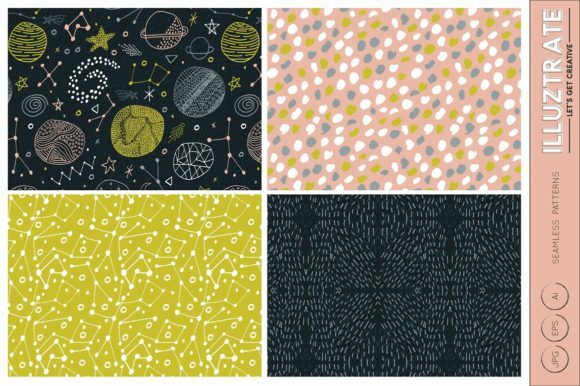 These patterns can be used on a variety of products, including printed designs, fabric, stationary, phone cases and more. 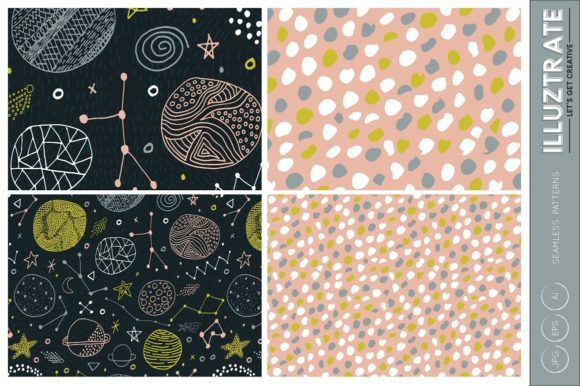 The vector files contains the tile and the pattern swatch, so you are able to color your patterns to suit the project.